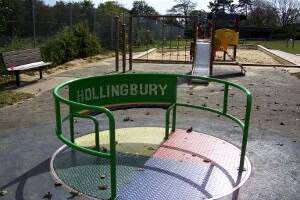 Placed along the Ditchling Road, Hollingbury Park has a large grass area and woodland walkways for those who enjoy walks in a country setting. There is also a large playground with picnic tables that is perfect for families. The park also caters for sporty visitors with its tennis courts and bowling green. Friends of Hollingbury and Burstead Woods organise events and activities and work with our Park Rangers to maintain the area. The 26, 46, 56 and 79 buses run past the park during the day. Further information and timetables available from the Brighton & Hove Bus company. 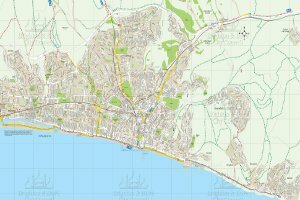 There is limited free parking available along the Ditchling Road. Alongside the park is a trail that is mainly woodland and glades. The woods provide shade in the summer and shelter during the winter and the route is free from gates and stiles to make it easy to use. 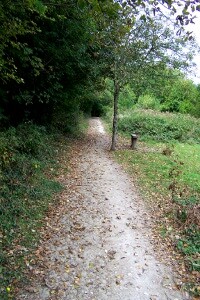 The path has a smooth, wide surface which makes it very popular with families with children in pushchairs and people with restricted mobility, including people using wheelchairs. Along the way there are benches to sit and enjoy the surroundings. For more information, check out the Hollingbury Woods easy access trail leaflet (PDF 539KB). Our public consultation for Hollingbury and Burstead woods 2011 to 2015 management plan is available to view.